They will explain themselves - as all poems should do without any comment. John Keats's literary career amounted to just three and a half years. It began in July 1816 after he passed the apothecaries' examination at Guy's Hospital and lasted until late 1819. 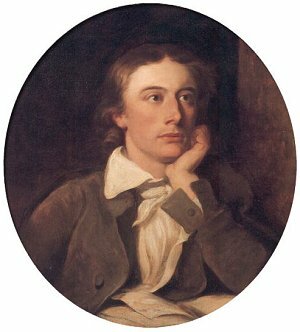 Keats wrote 150 poems, but those upon which his reputation rests were written in the span of nine months, from January to September 1819. This intense flowering of talent remains unparalleled in literary history. Keats published three books of verse in his lifetime. The first volume, Poems, was published by C and J Ollier in March 1817. It was dedicated to Leigh Hunt and contained thirty-one works, including 'Sleep and Poetry' and 'On first looking into Chapman's Homer'. His second volume, Endymion, was published by Taylor and Hessey in April 1818. It was savagely reviewed and sold poorly. His third volume, Lamia, Isabella, The Eve of St Agnes, and Other Poems, was published by Taylor and Hessey in June 1820. It contained thirteen works, including the great odes of 1819 (though not the 'Ode on Indolence') and 'Hyperion'. Dedication. To Leigh Hunt, Esq. Robin Hood. To a friend. Click here to view original manuscript images of Keats's poetry.